Bengaluru, August 7: A big bunch of young hopefuls, numerous established stars and some Indian legends form a good chunk of the Indian challenge at the second edition of TAKE Solutions Masters that carries an enhanced prize purse this year. The four-day event gets underway at the lush and challenging Karnataka Golf Course (KGA) on Thursday, August 9. Udayan Mane and Khalin Joshi, playing in their hometown, will also be the ones to watch out, besides other young stars like Honey Baisoya and Viraj Madappa, who after graduating from the PGTI Indian Tour have steadily started making a place for themselves on the Asian Tour. 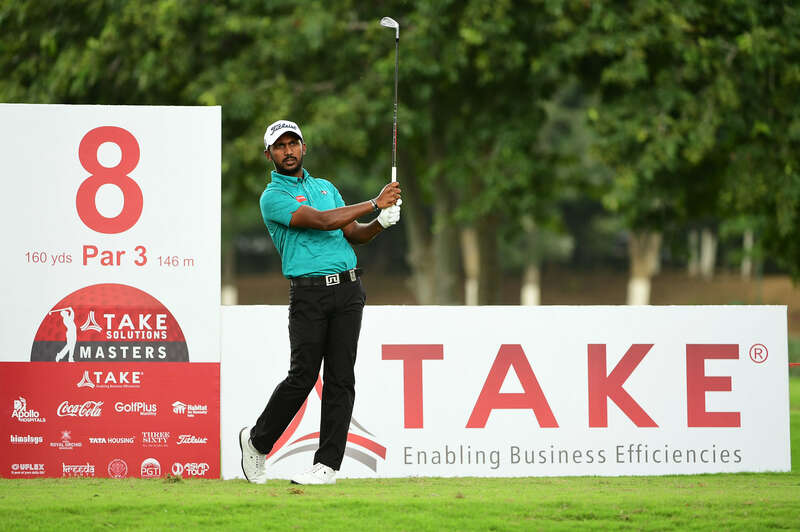 Khalin, who hit the spotlight with his runner-up finish behind winner Poom Saksansin of Thailand at the TAKE Solutions Masters last year, had a superb fifth place at Maybank Championships, where his friend and roommate Shubhankar Sharma emerged winner. Since then Sharma has moved to higher tours in Europe besides playing majors and WGC and Khalin is keen to follow his friend. Mane, who is coached by Vijay Divecha, whose other wards include Anirban Lahiri and Chikka, is coming off a series of good showing on the Asian Development Tour (ADT) with a couple of Top-15 finishes in Malaysia and Bangladesh and he followed that up with a Tied-sixth on the Asian Tour in Indonesia. He was fourth last week in the Louis Phillipe Cup in Bangalore, an ADT event which was held at the Prestige Golfshire Club.